I have had a gazillion requests for this recipe. Mix all ingredients. Bake in greased miniature muffin pan in a 350 degree oven for 15 minutes. Do not bake longer than 15 minutes. Makes 24 to 30 muffins. Note: Cool slightly before removing from pan. Don’t let them cool completely in pan as they will stick. Hi Dixie! Your recipes look wonderful! So happy I found your site! 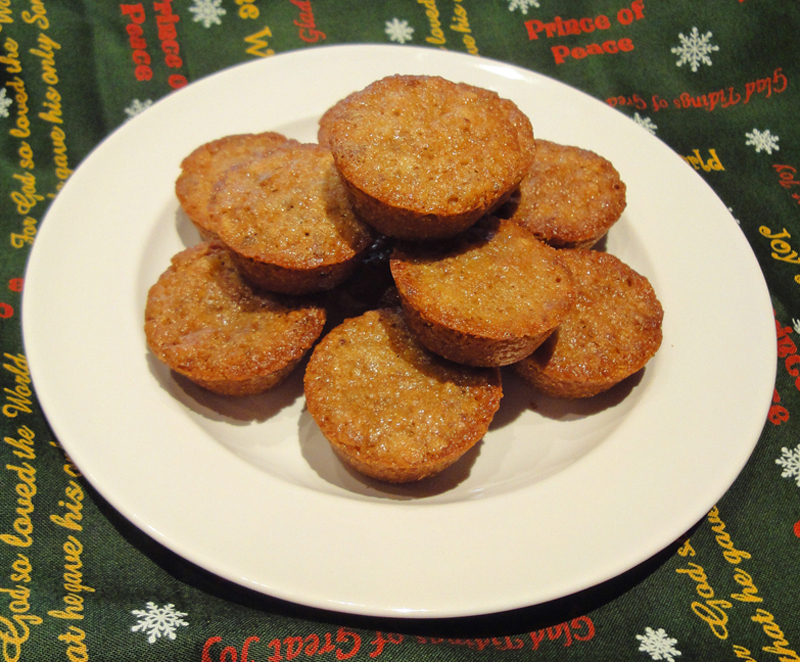 I found this recipe, called mini pecan pie muffins on Taste of Home’s website years ago! It is my husband favorite grab and go, bite size muffin. Please visit my Pinterest boards, found here https://www.pinterest.com/dorana1/ My borads are in alphabetical order and I have pinned some of your recipes to my boards. I hope you find a recipe or two that interests you and would like to try!